The feature that people are missing the most after upgrading to the new MacBook is the MagSafe connector. The connector had been around since 2006 before Apple killed it in 2016. I really love this feature since it saved me once. The connector is magnetically attached to my MacBook, so when someone trips over the cord, the plug will drop out without damaging the port as well as my laptop. 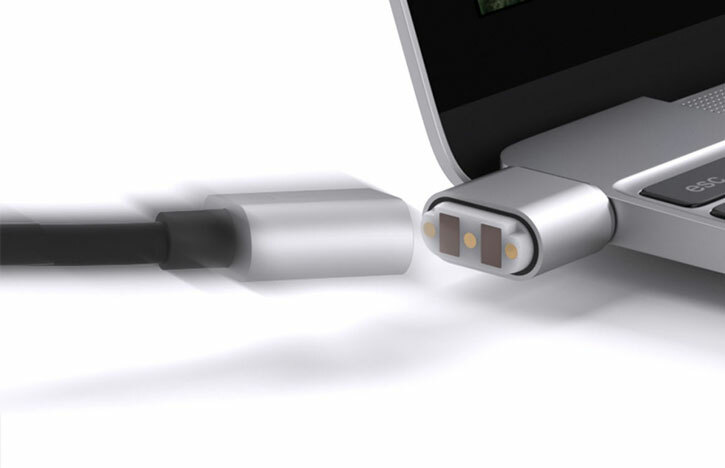 The MagSafe connector was replaced by the USB-C connector on the newest generation of MacBook, that means you should be careful when charging your laptop. If you happen to step on the cord, your MacBook could easily be pulled off the desktop. Fortunately, a third-party accessory provider fixed the issue with the Griffin BreakSafe Magnetic USB-C Power Cable. The implementation is not as sleek as the MagSafe connector but it does its job. The product includes 2 parts, one is a 6-ft cable and the other is a small adapter that is plugged into the USB-C port on your MacBook. What makes it special is that the tip of the cable is attached to the adapter with magnet. Therefore, when the cord is under stress, the connection will break away and your laptop will be safe. The only disadvantage of the product is that the cable has the power delivery of just 60 watts. This is enough for MacBook Pro 13 but not for MacBook Pro 15 with an 85W power adapter.